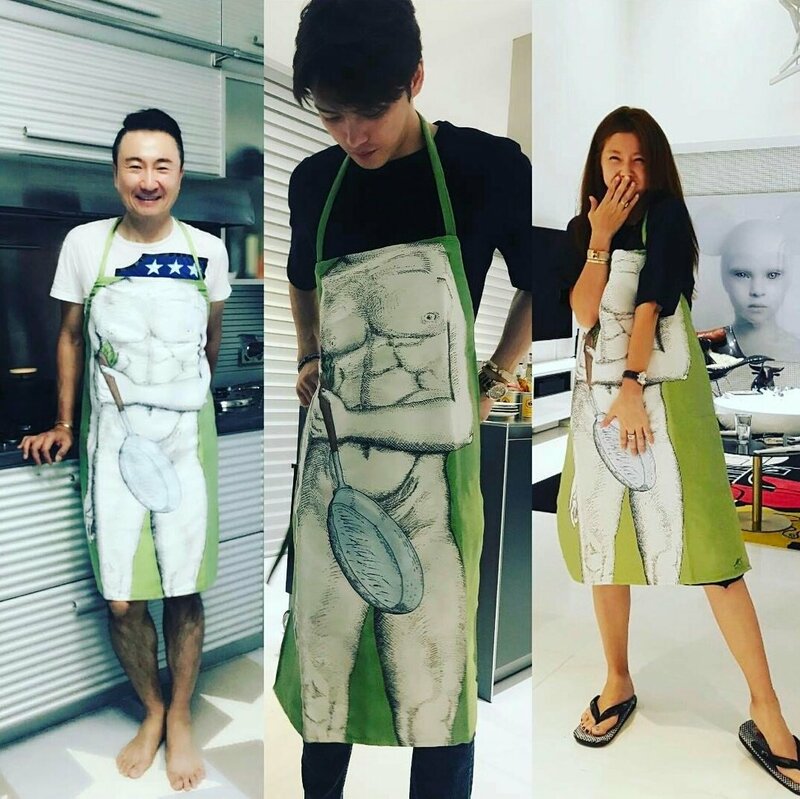 Hahaha, I can hear Jaejoong’s laughter when he first spotted this apron and the chuckle when imagining himself wearing it at his house warming party and finally the guffaw when he thought of who he was going to gift this apron to and how they would look in it. Our sweetheart, the dork, the teaser and prankster but an angel gift giver. I have the feeling that Jaejoong derives more happiness from giving gifts than from receiving. SOS, emergency, heeeeelp! Something jumped from the fire into the frying pan and needs our collective efforts to rescue him. Love it 😍. Perfect fit haha. only if his name is kim jae joongie! oh no! I’m fan girling again with JJ ONLY!! !